Some knew him as a friend… Some knew him as a teacher. Others simply knew him as an acquaintance. Whatever the capacity of ones relationship with Jesse Glover, you respected him as a man and a martial artist. When I began to appreciate the legacy of Bruce Lee and his art of Jeet Kune Do, I was always intrigued by the story of Bruce Lee’s first friend and student in America. My studies of the “little dragon” first started in the mid-80’s after I watched the movie, “The Big Boss”. Initially Bruce Lee turned me off. In my limited view at the time, I felt besieged by article after article about a Chinese movie star in the various martial arts magazines. After viewing this movie, Lee’s popularity began to make sense. However, that was just the tip of the iceberg. Behind the movie icon was more than a man who appeared to be a skillful martial artist. Bruce Lee was the walking definition of a warrior. Every great man has a best friend. A guide. A confidant. Jesse Glover was not only Bruce Lee’s first student; he was also all of the above when Lee first arrived in America. Their relationship was truly one of Yin and Yang, in that both gave each other something the other did not previously have. While Jesse was already an accomplished Judo man, he had little knowledge of the striking arts, which Lee could perform effortlessly. 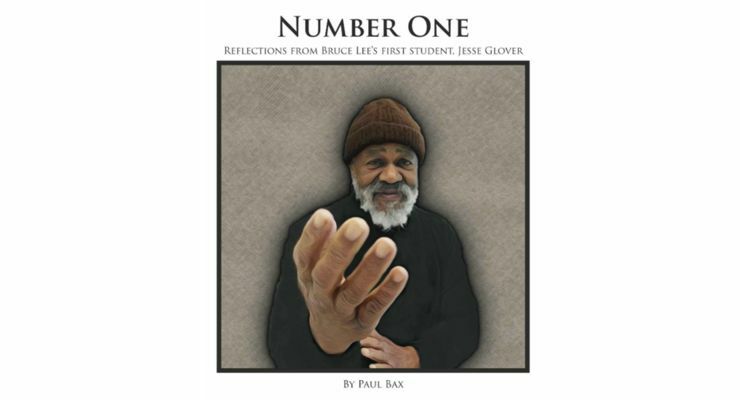 In return, Glover (along with most of the core Seattle group) enlightened Bruce on improving his confidence in public speaking, his mannerisms and to some extent, the foundation of Lee’s art of Jeet Kune Do.Born on October 16th, 1934, Jesse Glover first met Bruce Lee as a student in Seattle, Washington. Bruce had to take some classes before he could enter college so they originally met through Edison Technical School (which is now Seattle Central Community College). From then on, the two were inseparable until around 1962. They were still friends, however their training had ended and both went on with their lives, made new buddies and were set on completely different courses for their future lives. They would continue to be social up until around 1965, when Jesse met with Bruce in Seattle during Brandon Lee’s birthday party. Flash forward eight years: Bruce Lee had starred in a ground breaking television series called, “The Green Hornet”, had opened and closed three martial arts schools, taught multiple Hollywood celebrities including James Coburn, Steve McQueen and Lee Marvin, coached three world Karate champions that included Mike Stone, Joe Lewis and the future action hero, Chuck Norris. And finally, Bruce Lee nearly single handedly invented a new genre of martial arts films. Meanwhile, Jesse Glover became a father to two daughters and began to blaze a mutually impressive, yet low key existence himself. Mr. Glover wrote, a now classic and hard to find book, “Bruce Lee: Between Wing Chun and Jeet Kune Do” and followed that book up with, “Bruce Lee’s Non-Classical Gung Fu and “Non-Classical Gung Fu” (all self-published). He continued to teach a small group of students which eventually became a larger group. Jesse soon became a sought after seminar instructor around the world and produced some very popular and now hard to find videos on his fighting art. He became an advisor to the now defunct, Jun Fan Jeet Kune Do Nucleus and was a guest speaker at many of their events. In 2008 and 2009, he taught with Ted Wong (Bruce Lee’s last private student) for the now legendary, “Disciples of the Dragon Seminar: First Student/Last Student” in St. Louis, Missouri. 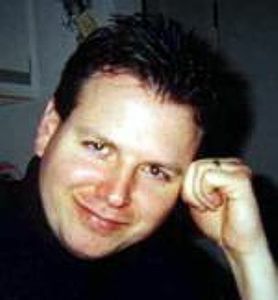 Jesse continued to teach seminars through out the world in addition to his instruction of his small group of students in his hometown of Seattle. In 2012, Jesse Glover passed away due after a long battle with cancer. His wisdom and knowledge continue to live on through his written words like those you are about to read from his 8 years of sharing his thoughts on my forum, The JKD Brotherhood. Paul Bax is a world renowned Bruce Lee and Jeet Kune historian and practitioner who has been published in martial arts magazines such as Black Belt magazine, Inside Kung Fu and Inside Karate. In addition, he has published three books related to Bruce Lee, sponsored seminars with Lee’s tops students and hosted one of the most popular martial arts forums on the internet, The JKD Brotherhood. 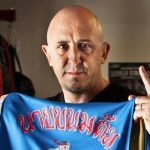 Paulo Tocha moved to Thailand to learn "real" Muay Thai boxing. He was one of the first Westerners to fight in Thailand, one of the first accepted as a foreign fighter for a prestigious, very powerful and respected bangkok muaythai fighting camp called Sor Thanikul gym , recognized in the early eighties for its many champions.